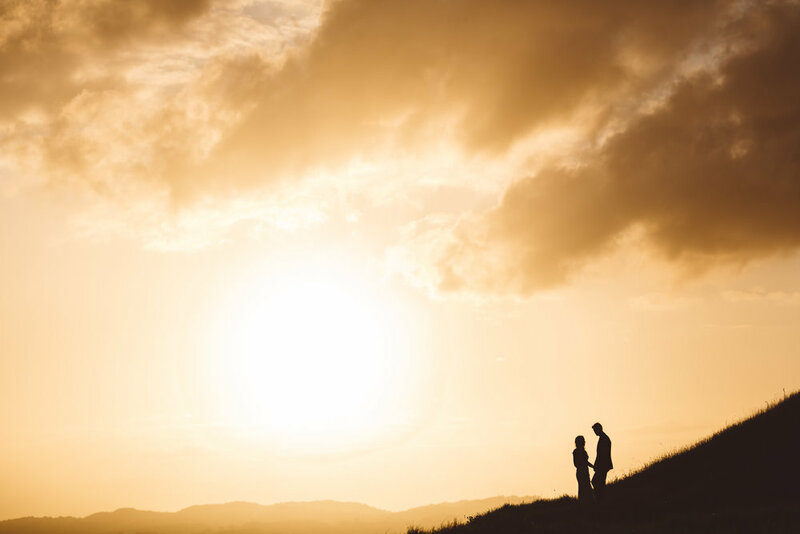 Overpowering coastal views, endless laughs, wild winds, wilder dance moves, a golden sunset and so much love. 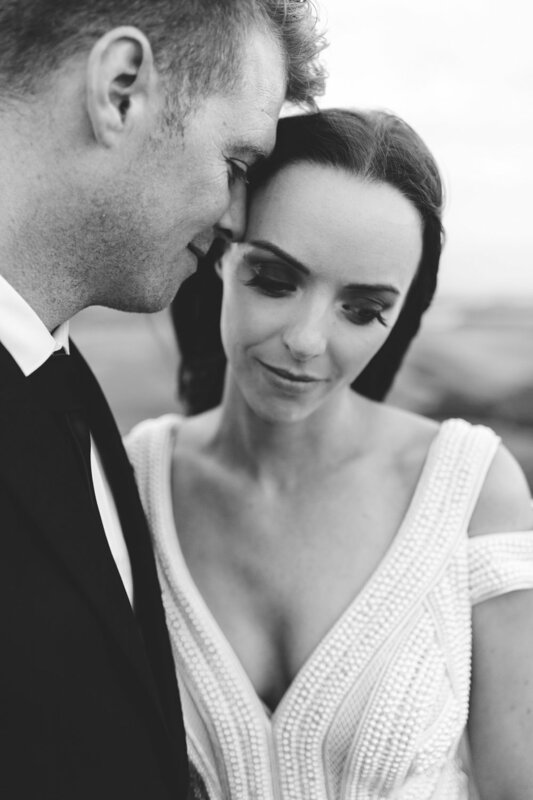 Katie and Andy's wedding had it all, and in the most perfect way possible! 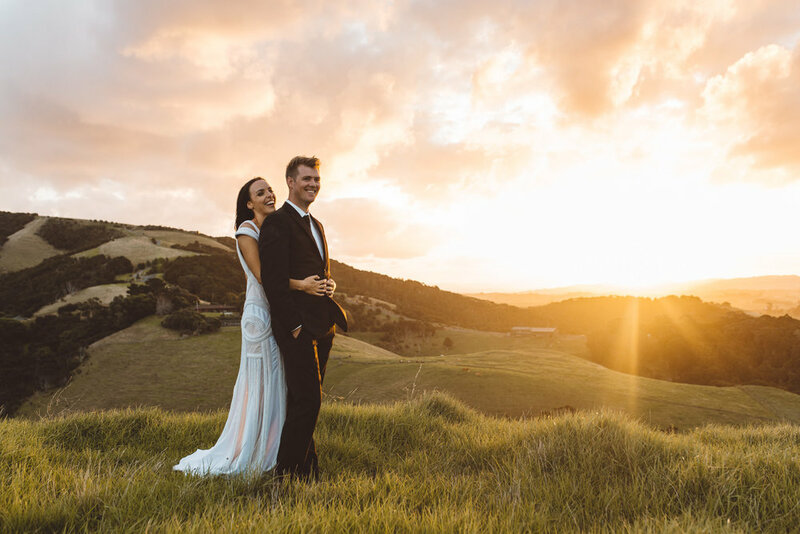 After some pretty crazy venue hunting, the bride and groom chose Kauri Mountain Estate in Northland for their big day. 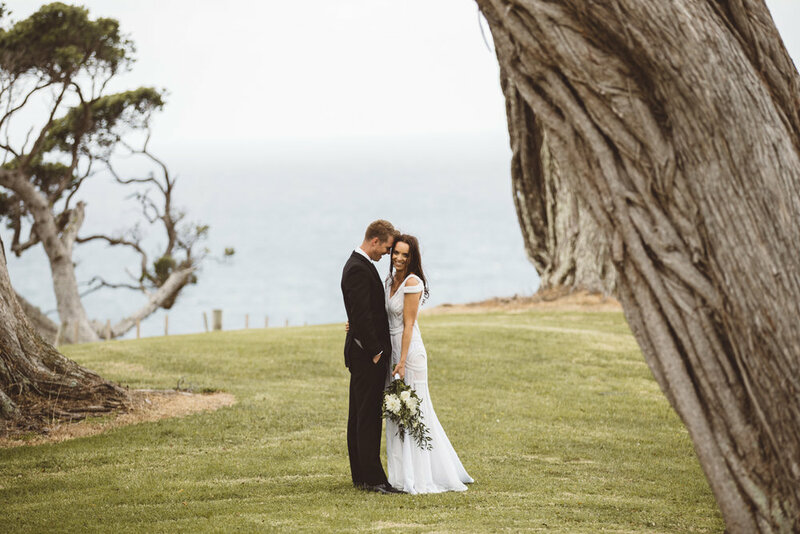 A sprawling estate, framed by jaw-dropping cliffs overlooking the ocean and under the most perfect Pohutukawa tree to say their “I Dos”, it's safe to say their guests were in for a real treat. 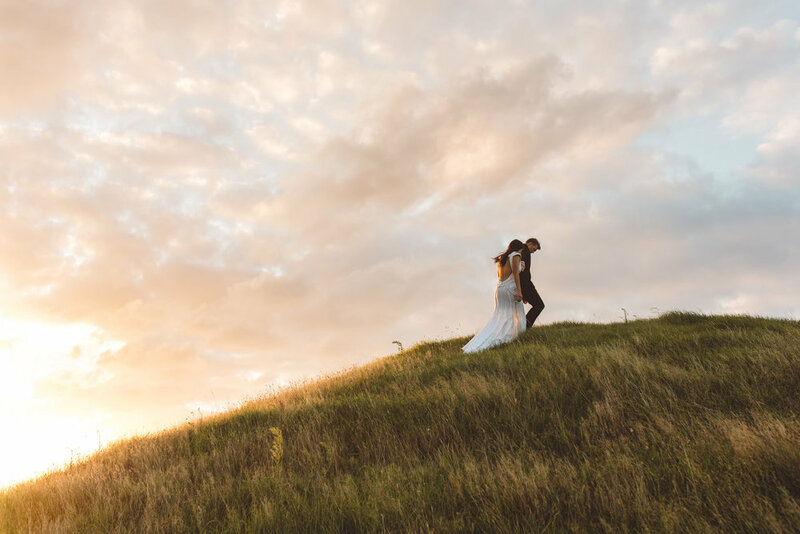 Having been engaged for 7 years, this event was some time in the making, and endless amounts of time and love had gone into making each and every little detail just perfect. 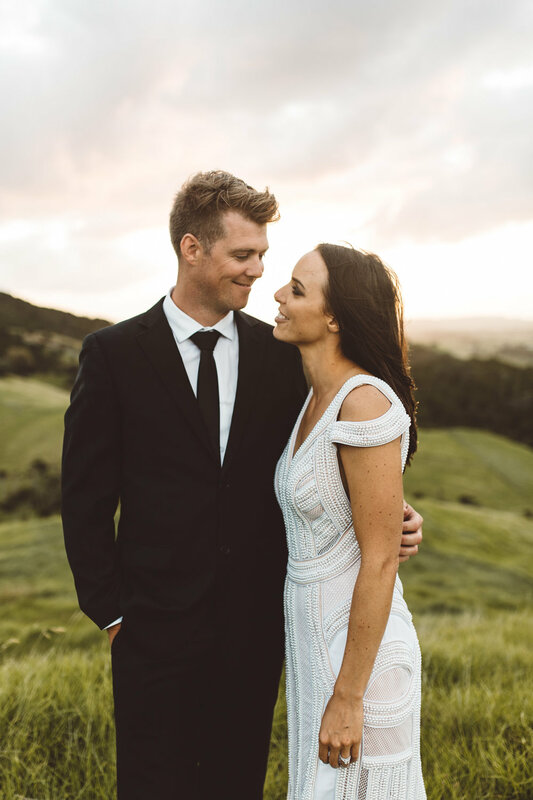 From hand-painted signs and all white floral arrangements which covered the tables, to a handmade bar and the most mouth watering grazing table, the day was absolutely jam packed with amazing DIY details and styling. 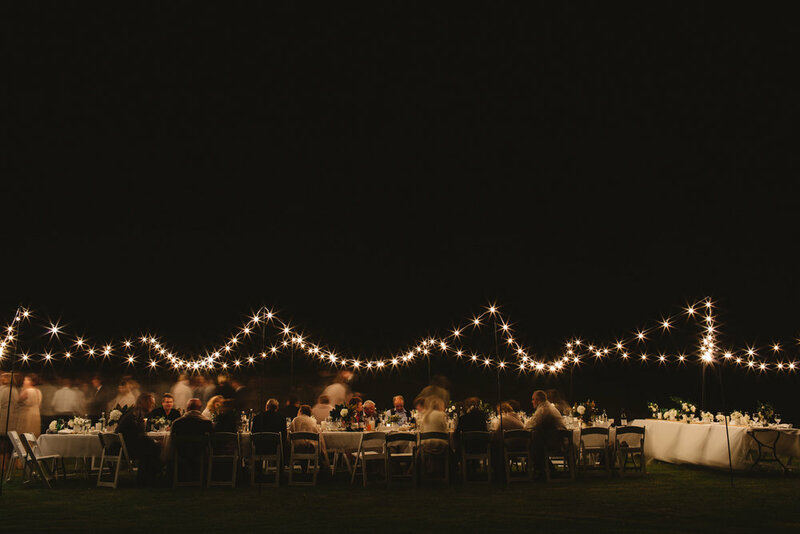 The reception was held open-air style, with guests seated at long banquet tables framed by strings of festoon lights. A stunning sight! After feasting on delicious mains (rolled pork belly - hells yeah! 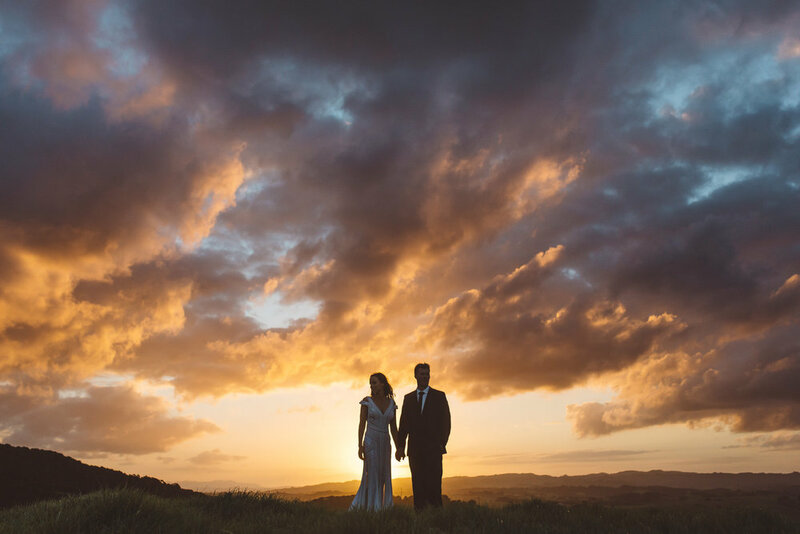 ), we snuck Katie and Andy away for a few sunset shots amongst the rolling hills only a short stumble away. The night finished off with some pretty great dance moves under the night sky, no doubt followed by a few sore heads in the a.m.